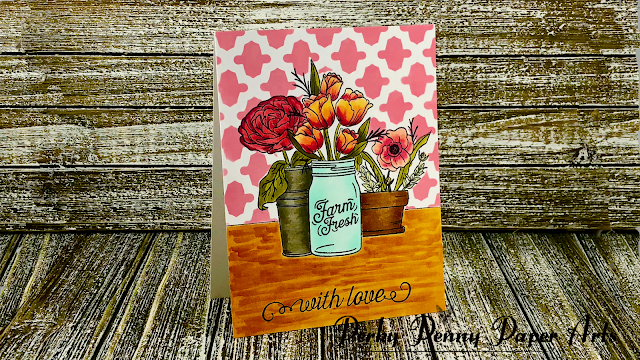 Perky Penny Paper Arts: Simon Says Stamp August 2018 - Mandy's Flowers Part 3 of ? 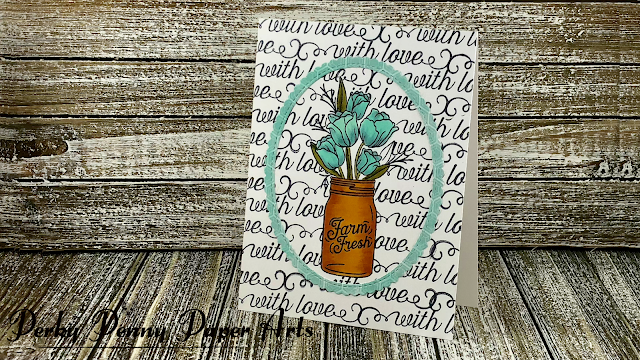 Simon Says Stamp August 2018 - Mandy's Flowers Part 3 of ? 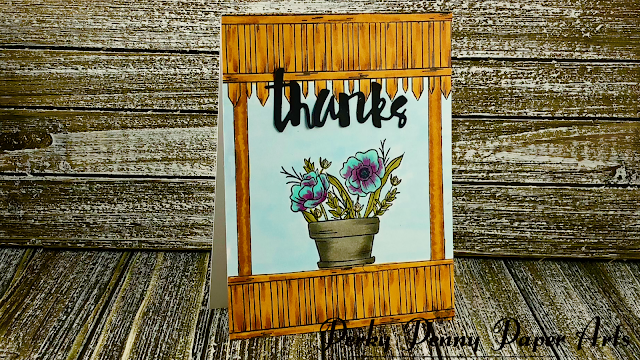 Welcome to Part 3...Be sure to check out the video and comment to enter the Perky Penny Papers August 2018 Cardapalooza......Click here for details. Card recipes and a supply list are included below the video link. Stamp image in center and mask. Stamp sentiment over the entire front of the card. Cut My Favorite Things Scalloped Stitched Frame from patterned paper and color with Copic marker so it matches the flowers. Attach frame to panel.and card base. Mask off the panel so a little over 1" from the bottom of the card is exposed and stamp the fence with the pointy side down and off the paper so that the vertical slats frame out the area. I stamped twice to get this look. If you remove the mask and the upper line is missing simply draw in with a ruler and black ballpoint pen. Flip the paper over and stamp the fence with the pointy sides towards the middle of the card. Line the bottom of the bottom vertical slat up with the top of the panel. Use a ballpoint pen and ruler to draw in some poles for your flower stand. 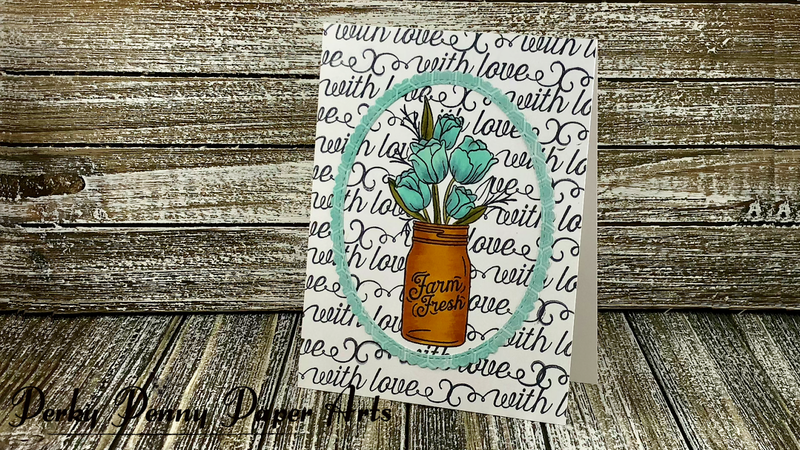 Color the image and find a fun sentiment die cut to finish off your card. Attach panel to card base. Stamp the center image and mask. Stamp the other images and the sentiment on the bottom. Draw a line up to the image on both sides as shown in the picture above. Take a stencil and attach it to the panel front, lining up the bottom of the stencil area with the line on the panel. Color the rest of the images with Copic markers. Stamp and mask the floral images on the left and right at the bottom of the card. 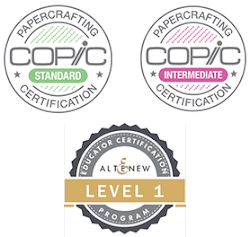 Take the wreath stamp and position it in the Misti so the flowers are on top and it will stamp about 1/4" from the top of the card panel. Place a small piece of purple tape on either side of the wreath right under where the lines start to curve. The idea is you want a straight line to extend. Stamp the image. Take a ruler and ballpoint pen and extend the lines to the bottom of the panel to create and arch. Stamp the fence in the center overlapping the flowers and centered between your 2 "poles". Remove mask. 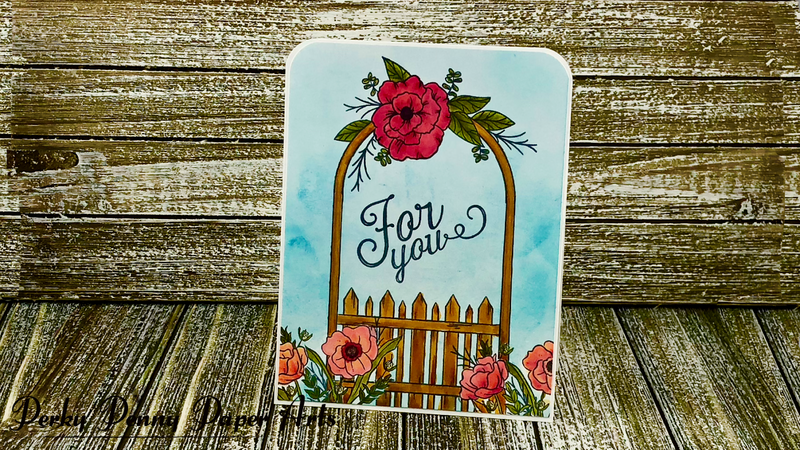 Make sure that the "pole" lines are continued through the floral image and the vertical slat lines meet up with the side of the arch using your ballpoint pen. Color the images only with Copic markers and mask off. It is ok to not mask off the dark green and the arch. We will just steer clear of these as best as possible while creating our background. Stamp the For You sentiment in the center of the arch. I trimmed the panel down 1/8" of an inch to create a small border and then rounded the top corners of the panel as well as the card base. Attach the panel to the card base. Please feel free to share this blog, subscribe and follow me on Instagram @PerkyPennyPapers and subscribe to my YouTube Channel at Perky Penny Paper Arts. 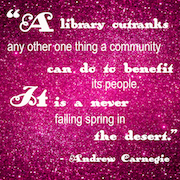 It means so much to me and inspires me in my card making.